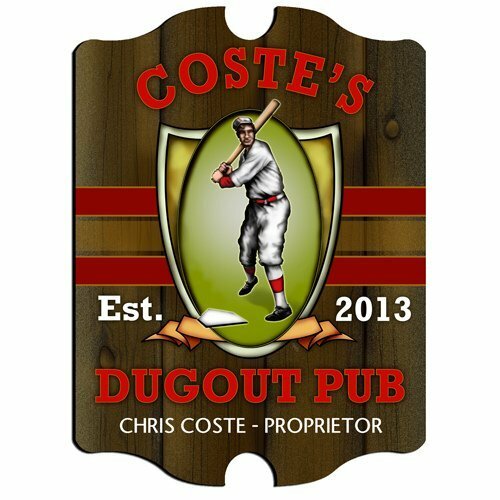 Baseball junkies will enjoy the classic styling of this dugout plaque that is personalized with a first and last name and the date this pub was established. 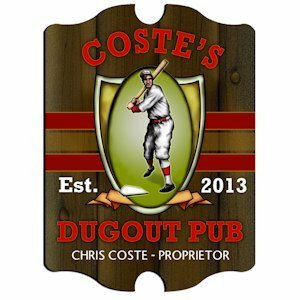 Full-color design features an image of a baseball player reminiscent of baseball's golden era when the players were regular people with natural talent. Specify personalization details at checkout for a very personal gift.